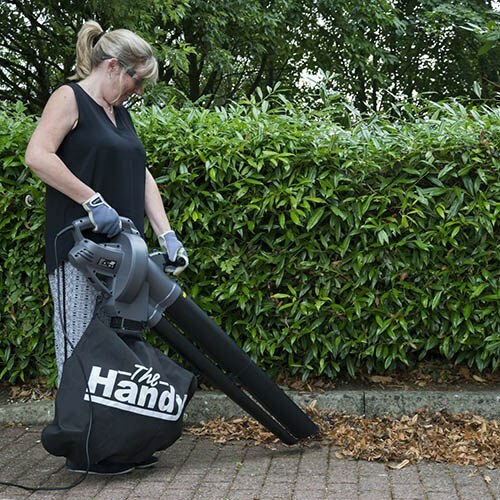 Tidy your garden with ease with the the Handy THEV2600 electric leaf blower vacuum, ideal for clearing leaves and debris from your garden. The single speed compacts garden debris, providing exceptional performance from a 2600 watt motor. Weighing only 4.7kg, this powerful, easy to use model reduces debris at a ratio of up to 10:1, as it is collected in the 35 litre capacity bag, producing fast composting material. Supplied with shoulder strap and 6m cable.